Other Key Novel licenses depends on how well Clannad and Planetarian Visual Novels sells. I meant for this to show up in the AN Shows category. KickTraq (https://www.kicktraq.com/projects/sekaiproject/clannad-official-english-release/) says 88% funded after 12 hours. Insufficient data to properly predict the trending value. So first off, thanks to the amazing response from you guys we’ve been able to make the physical version extra special! So what does that mean? It means you’ll be getting a physical edition of the CLANNAD MABINOGI Arrange Album and 80-page physical version of the CLANNAD Fanbook! Lastly, this is also KICKSTARTER exclusive edition, we cannot sell additional copies outside of Kickstarter once it’s over so don’t miss out on this! Next up is HD assets and ports, those are still under discussion with VisualArt’s. We noticed people were talking about cropped assets and while we haven’t seen the actual assets we will let everyone know and have a side by side comparison for everyone to take a look and judge if it should be used or not for our release of the game. We do have some other ideas being discussed but can’t talk about it just yet! Next up is HD assets and ports, those are still under discussion with VisualArt’s. No HD would be extremely brutal. I wonder if the physical version will still have to use Steam. Sekai Project also said in the update that like the limited-first press edition, all physical copies shipped to Kickstarter backers will contain the CLANNAD MABINOGI Arrange Album and the 80-page Clannad fanbook. The 2004 edition physical release will only be available through the Kickstarter campaign. The campaign reached its US$140,000 goal on Tuesday, after less than 24 hours. Sekai Project initially listed a physical release of the game as a stretch goal, with a goal of US$100,000 for the Steam edition. Sekai Project announced its plans in August to bring Clannad to Steam with full voices. Sekai Project said it plans to to release a fully-voiced edition with Mai Nakahara, Ai Nonaka, Mamiko Noto, Kikuko Inoue and others, but will not record an English dub. 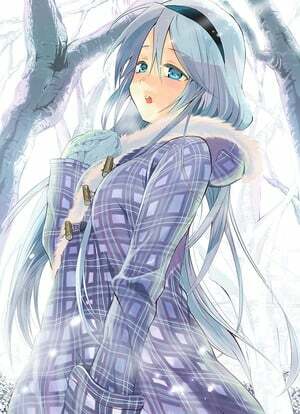 Key has produced such visual novel franchises as Little Busters!, Kanon, and Air — all of which inspired anime and manga adaptations. Sekai Project is also funding the WAS The Hourglass of Lepidoptera visual novel until November 26. The visual novel includes voices by Rina Satou, Rie Murakawa, Sayaka Ohara, Hiro Unochi, Natsuki Abe, and Aoi Kana. North American visual novel distributor Sekai Project announced its stretch goals on Sunday for the Clannad crowdfunding campaign on Kickstarter. The first new stretch goal at US$200,000 will be for HD assets. VisualArt’s/Key currently has assets as 1280x960, and now Sekai Project is asking them to process it at 1280x720 for widescreen support. The campaign had reached this first stretch goal before the company had announced it. The next stretch goal, at US$320,000, will be for the Clannad side stories. The side stories started out as a series of drama CDs that were eventually included in the PlayStation Portable edition of the game in 2008 and added as DLC to the PlayStation 3 edition in 2011. Those interested in pledging for the side stories ahead of time can add US$25 to their pledge for the digital version and US$30 for the physical version. The third stretch goal, at US$380,000, will be for an all-new Clannad anthology manga that Sekai Project will release in the West before it is released in Japan. Those interested in pledging for the manga ahead of time can add US$12 to their pledge for a digital version and US$15 for a physical version. The campaign reached its US$140,000 goal after less than 24 hours, earning a digital and physical edition of the game. As of press time, the campaign has earned US$247,651, and has 45 days left to go. Sekai Project stated that its English release will be “almost the same as the original 2004 release of CLANNAD first edition.” The company plans to release a full-voiced edition with Mai Nakahara, Ai Nonaka, Mamiko Noto, Kikuko Inoue and others, but will not record an English dub. The first new stretch goal at US$200,000 will be for HD assets. VisualArt’s/Key currently has assets as 1280x960, and now Sekai Project is asking them to process it at 1280x720 for widescreen support. Is this accurate? Fans raised 200 grand for worse graphics than they already had?! For 200K, we should at least be getting 1920*1080. North American visual novel distributor Sekai Project announced on Sunday that the Clannad crowdfunding campaign had reached its second stretch goal to release an English translation and PC port of the Clannad Hikari Mimamoru Sakamichi de side stories. The side stories started out as a series of drama CDs that were eventually included in the PlayStation Portable edition of the game in 2008 and added as DLC to the PlayStation 3 edition in 2011. Sekai Project added the additional stretch goals in November. The first stretch goal at US$200,000 was for HD assets. VisualArt’s/Key currently has assets as 1280x960, and now Sekai Project is asking them to process it at 1280x720 for widescreen support. The campaign had reached this first stretch goal before the company had announced it. The third stretch goal, at US$380,000, will be for an all-new Clannad anthology manga that Sekai Project will release in the West before it is released in Japan. Those interested in pledging for the manga ahead of time can add US$12 to their pledge for a digital version and US$15 for a physical version. Sekai Project announced on Sunday that the Kickstarter project is less than $55,000 to reach the goal. Should the Kickstarter reach the third goal, Sekai Project will get Clannad one-shot and Black Gate manga author Yukiko Sumiyoshi (art seen below) to join Juri Misaki and ZEN to work on the anthology manga. The campaign reached its US$140,000 goal after less than 24 hours, earning a digital and physical edition of the game. As of press time, the campaign has earned US$328,563 and has 17 days left to go. 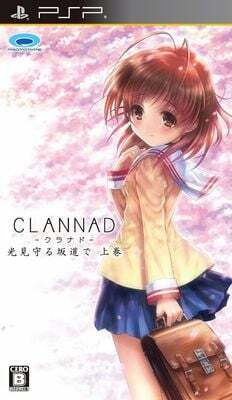 North American visual novel distributor Sekai Project announced on Wednesday it reached its US$380,000 stretch goal to fund an all-new Clannad anthology manga. 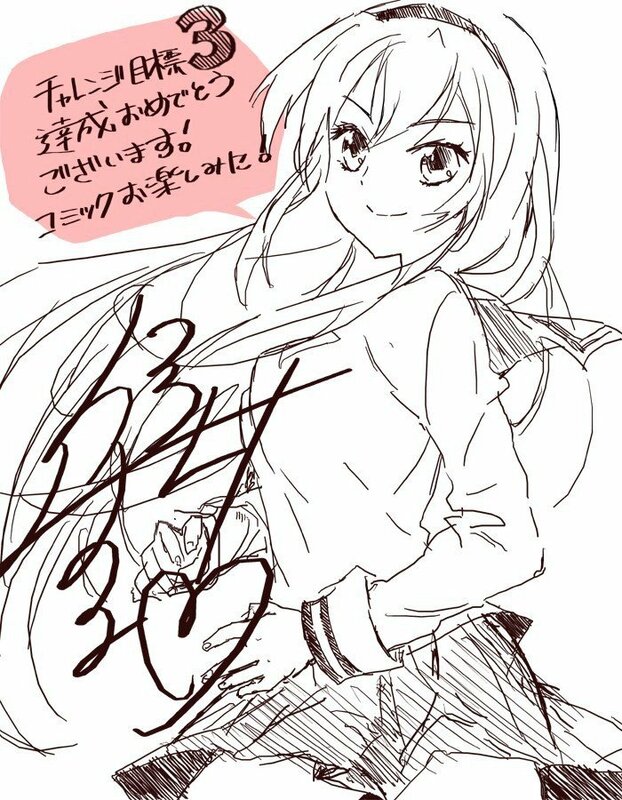 Manga artist Yukiko Sumiyoshi drew the above image to mark the occasion. Backers who want a copy of the anthology need to add US$12 for the digital version or US$15 for the physical version. A US$5 additional charge needs to be added for backers outside the U.S. Anyone who is at the US$1,000 and US$7,000 tiers will automatically receive the manga. The manga will be released in the West before Japan. The campaign reached its US$140,000 goal after less than 24 hours, earning a digital and physical edition of the game. Stretch goals to release an English translation and PC port of the Clannad: Hikari Mimamoru Sakamichi de side stories and HD assets were also reached. As of press time, the campaign has earned US$380,548, and has eight days left to go. Yep, just got my notice from Amazon that they’re collecting the rather massive payment I promised kickstarter for this. Brutal lol. I wish that they’d had a better way of ordering addons though. IMO a physical copy ought to have come with all tiers above the one that initially offered it. For now I gave $80, $50 for the physical copy and $30 for the Side Stories.